Enlarge / Deadfire‘s presentation feels improved in nearly every way over its predecessor. My sword really likes being stabbed into people. I know this because she (he? it?) told me so. Her name is Modwyr, and she only stops insulting me when the conversation turns toward potential violence. It’s making me uncomfortable, but the bonus stats I get for keeping Modwyr around are too juicy to pass up. I’ve got a god to kill, after all. At least I think I do. 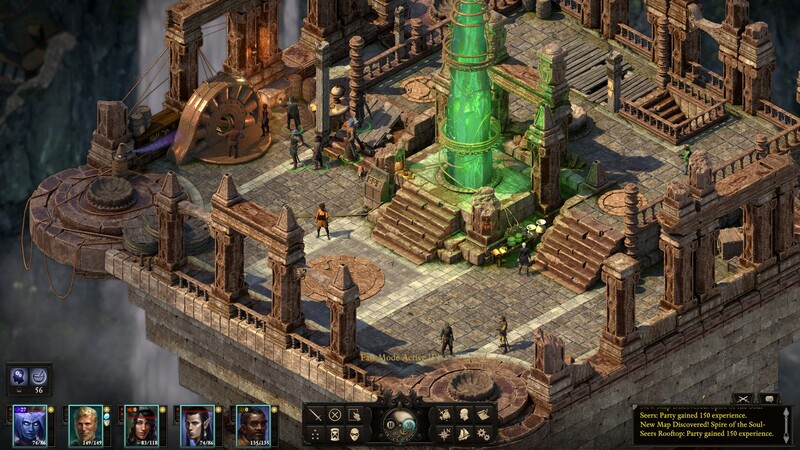 There is no shortage of choices to make in Pillars of Eternity 2: Deadfire. The pirate-centric sequel to developer Obsidian’s throwback RPG doesn’t skimp on that facet of the pen-and-paper role-playing game it replicates. Some of my choices from the previous game have already come back to haunt me, thanks to an imported save, though newcomers have the option to write their own history near the beginning of Deadfire. The god of entropy is pissed. He’s not the one I’m hunting as part of Deadfire’s main story, but I lied to him in the first PoE. Now he’s promising a showdown. I’ll get to that eventually. For the time being, though, I’ve got pirates to hunt, my own crew to manage, several imperialist governments to support or betray, and a talking sword to placate. It’s a lot of intrigue to disentangle—with consequences rearing their ugly heads immediately after doing so. But my player-character is the perfect psychic, soul-reading, pirate lord for the job.